Alton native Johnetta Randolph Haley, Southern Illinois University Edwardsville emeritus professor and former administrator, is being honored with the University’s Distinguished Service Award. SIUE will present the award to the musician, educator and community leader at the University’s Spring 2017 Commencement on May 6. Haley became a member of the SIUE faculty in 1972 as an assistant professor in the Department of Music in the School of Fine Arts and Communications. Before joining the SIUE faculty, she was vocal music director and chairperson of the Nipher Junior High School (Kirkwood, Mo.) music department for 18 years. She began her educational career as the vocal and general music teacher at East St. Louis Lincoln High School. Political leaders recognized Haley’s capabilities. Missouri Governor Kit Bond appointed Haley to the board of curators at Lincoln University (LU) in Jefferson City where she was elected board president in 1977. She served the board for 10 years. University President Earl Lazerson appointed Haley as acting director of the SIUE East St. Louis Center in 1982, and she became the director in 1984. Haley amassed numerous honors and awards during her time leading the Center, including the Upward Bound/Science Awareness Outstanding and Dedicated Service Award, the Tri Del Federated Club Educational Achievement Award, the Business and Professional Women’s Club Woman of the Year Award, Inroad’s Incorporated Volunteer of the Year Award, the Illinois Committee on Black Concerns in Higher Education Outstanding and Dedicated Service Award, the Fred. L. McDowell Outstanding Practitioner in Higher Education Award, the St. Luke A.M.E Church East St. Louis Excellence in Education Award, the 1988 St. Louis Woman of Achievement Award sponsored by KMOX Radio and the Suburban Journals, and the School District 189 Outstanding Achievement in Promoting Gifted Education in East St. Louis Public Schools Award. In the 1989 summer edition of SIUE’s Alumnus, Haley said, “Our job at the SIUE East St. Louis Center is to capitalize upon every available opportunity to tap and ensure the realization of academic and other potential possessed by the youth of this city.” She set the standard that SIUE continues to pursue at the East St. Louis Center to this day. Haley’s commitment to service was acknowledged through the years. She was elected to the St. Louis Metropolitan Board of the YWCA, the National Board of Directors of Alpha Kappa Alpha Sorority, and the Board of Directors of the Association of Governing Boards of Universities and Colleges. She also served on the Board of Trustees of Stillman College and served as chair of the Illinois Committee on Black Concerns in Higher Education. 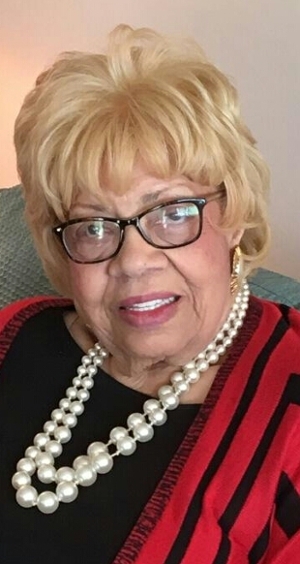 She held offices or served on the boards of such civic organizations as the Council of Lutheran Churches, the Advisory Council of the Danforth Foundation’s St. Louis Leadership Program, the Artist Presentation Society, the Early Childhood Development Corp. of the City of St. Louis, Girls Inc., and the St. Louis Chapter of Jack and Jill, Inc. Among her various awards were the Key to the City from Gary, Indiana, the Missouri Music Educators Service to Music award and the St. Louis Sentinel’s SIGNEL Honor Award for outstanding community service. At various points in time, Haley has been included in the popular Who’s Who publications such as: among the World’s Musicians, in Entertainment, in International Biography, in the Midwest, among International Women in Education, among Black Americans, among American Women, in Community Service, the World’s Women, Personalities of the Midwest and in the World. Even after her retirement, Haley’s efforts continued to be rewarded. She received the Leadership Award from the St. Louis Community Empowerment Foundation’s Annual Salute to Women in Leadership in 2010. Following in the footsteps of a family of educators covering four generations, Haley earned a bachelor’s in music education from LU in 1945 and a master’s in music from SIUE in 1972. She also studied at the University of Illinois, University of Michigan, Georgetown University, Washington University in St. Louis and the University of Montpellier in France. Photo: Johnetta Randolph Haley, recipient of the SIUE Distinguished Service Award.